High quality Illinois wood shingles installation is provided by JB Roofing, your Illinois roofing contractor for over 15 years. We install both: cedar wood shingles and cedar wood shakes. The difference between cedar wood shingles and wood shakes is in their manufacturing process and in what follows, which is – their appearance. Western red cedar shingles are available in 3 sizes, four different grades and two thicknesses. If you have any questions about Illinois wood shingles installation, call Illinois roofing contractor at 847- 639-7756, or send us an email. 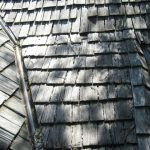 Let me give you a few other details you should know before deciding on your Illinois wood shingles installation. Cedar wood shingles contain natural oils that make them resistant but not completely immune to insects, rot, and weather. Over time, their surface exposed to wind and rain erosion loses its protective capabilities, which results in splitting and possible leaks. Also, under some conditions those protecting oils become a habitat attracting mildew and moss growth. 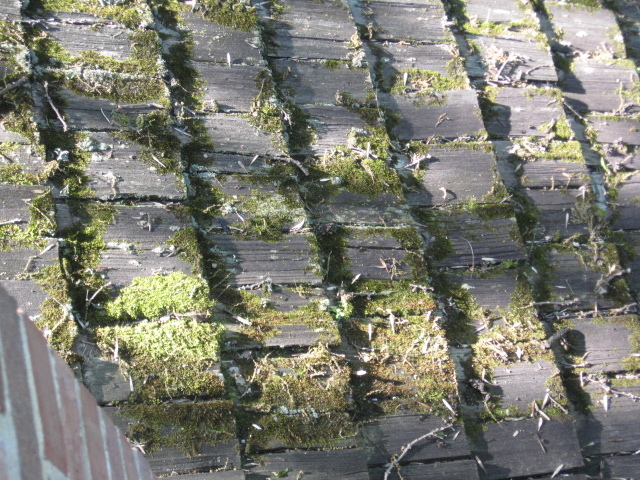 Beware, that cedar roof sections shaded with trees, located on the north plane of the roof, and / or preserving moisture for some reason and for long periods of time may develop moss carpets. This always accelerates wood shakes / shingles breakdown and shortens their life span. 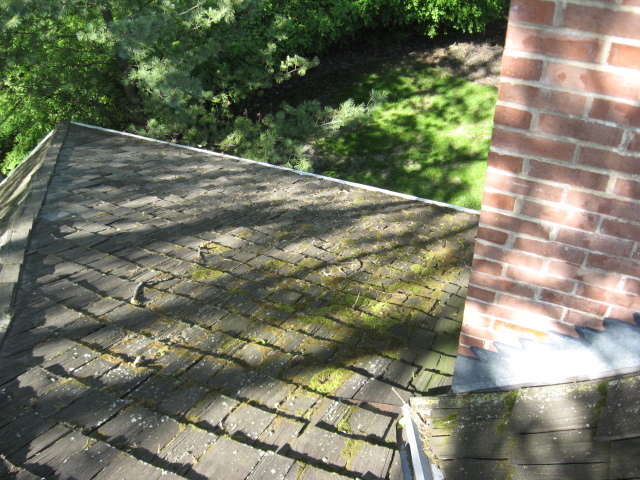 You can expect cedar shingles / shakes to last at least 20 years when installed on roofs with a 4/12 or greater pitch. 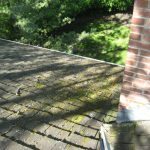 The steeper the pitch of your roof, the longer it will most likely last – installations on shallower roofs will usually result in leaks. Life expectancy of roofs pitched 6/12 or more increases to around 30 years. Another way to increase its life span is to install it on spaced battens instead of solid decking (plywood or boards). This allows for additional air circulation beneath the shingles, speeds up moisture evaporation, and slows curling and rotting process. However, some jurisdictions fire codes might require solid decking instead of battens. Cedar shingles can be treated for fire resistance during the manufacturing process, which gives them Class B, or C rating. 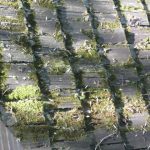 Not sure what to do, still between the cedar wood shingles and something else – we can answer your questions and perform Illinois wood shingles installation for you.